Many of the locks have bridges across their tails. 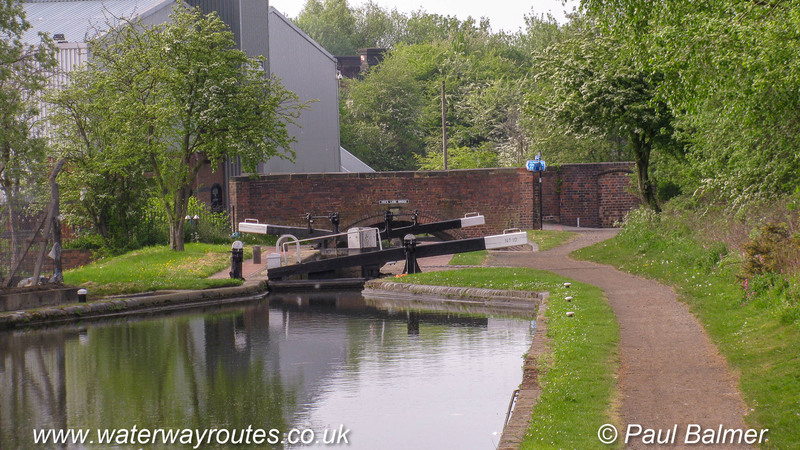 Many of the locks in the Wolverhampton Flight have bridges across the tail of the lock. This is Lock 10. All the bridges on the Birmingham Canal Navigations have names rather than numbers. This is Fox’s Lane Bridge.